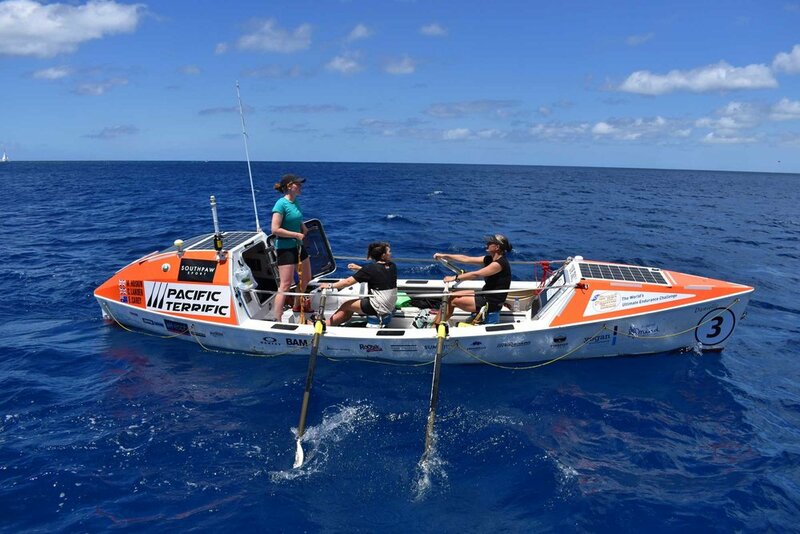 Meet two-time world record breaking team Pacific Terrific – the first crew of 3 to row the Pacific Ocean and the youngest to row any ocean on earth. No sail, no engine, just muscle! We donated 24 tubes of reef safe Kōkua Sun Care Hawaiian Natural Zinc Sunscreen SPF 50 to these courageous young women from the UK for the Great Pacific Race. When asked how the sunscreen worked for them, crew-member Cazz, said that "[the sunscreen] was brilliant and we didn't burn once in 62 days at sea!!" We asked them a few questions about their race and were touched by their thoughtful and inspirational remarks – great words of wisdom going into the new year. Q: What made you decide to undertake this momentous journey across the Pacific? The crew Rowed over 2400 miles and it was not always this blue and calm. They saw storms,high winds and experienced true immersion in the largest expanse of ocean in the world. Q: What is the most important thing you learned from this adventure? Q: What was the most beautiful or touching moment you experienced on your journey? Approaching the finish line after 62 days at sea, what a feeling it must be to arrive in the cradling arms of Hawai’i. Q:	What was your experience like with Kōkua Sun Care? Look out for a short film about their row currently in production and premiering in March 2019 at the Four Seasons Film Festival in the UK, and they hope overseas afterwards, too! SUNSCREEN LAWS: HAWAII, BONAIRE, PALAU, AND NOW… KEY WEST!